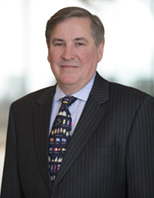 Dan Rodgers is a partner with Watson Farley & Williams LLP and is Head of the firm's New York Office. Dan's practice encompasses a broad scope of finance work across the maritime industry. His expertise ranges from asset-based lending and project structured financings (including bilateral and syndicated loan facilities, letter of credit and guarantee facilities and restructuring work) to lease financings and US capital markets transactions. Dan advises financial institutions, borrowers, participants in lease transactions, and issuers of debt and public and private equity. According to Chambers and Partners USA 2017 quoting a client, Dan is an "experienced and pragmatic lawyer who tries to get the deal done while protecting our interests". He has also been described as having "expertise in all matters related to shipping finance including asset-based lending, lease financing and US capital markets transactions".